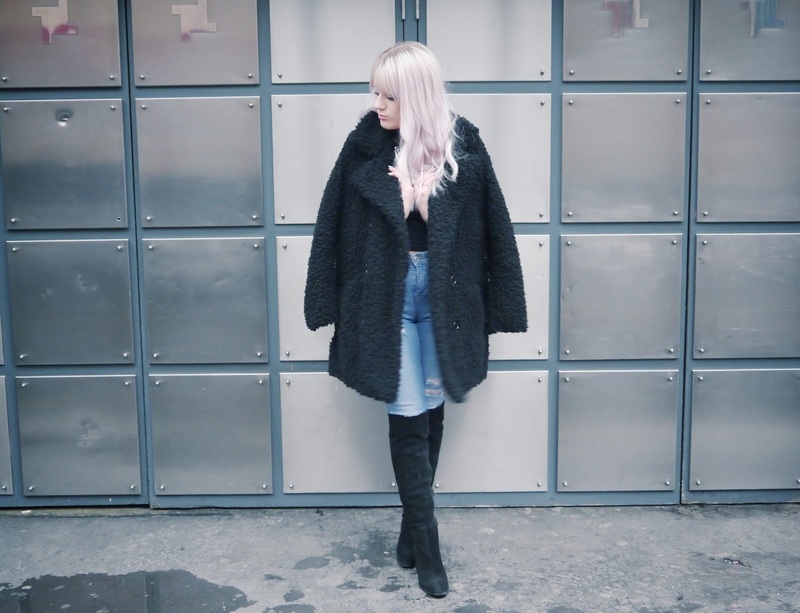 I wanted the final look in this instalment to be a much more casual option, so I paired my over-the-knee boots with some distressed high-waisted jeans and a simple 90s crop. It's finally starting to get a bit chilly here in London so I also slung this oversized black teddy coat that I got for my birthday over my shoulders, it's such a warm and cosy piece that is such good value for the price! On a side note, I'm so happy with how my blog is going at the moment, I feel like living in London and being at university means I've been properly able to throw myself into blogging - taking outfit photos, recieving more opportunities and creating regular content for you all. I also have to say a huge thank you to the girls I'm living with, they're so supportive of me and regularly take the time out of their days to take my blog photos, I super duper appreciate it ladies! Mwah! So yeah, I'm excited for the future! 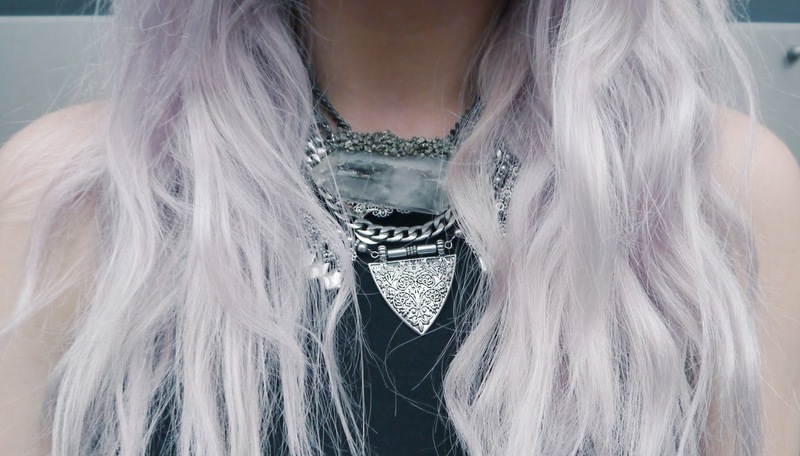 this is such a gorgeous combination! your hair is lovely! The boots look great over jeans! So cute! The boots are amazing and the whole outfit is perfect! Love this combination. You look amazing!